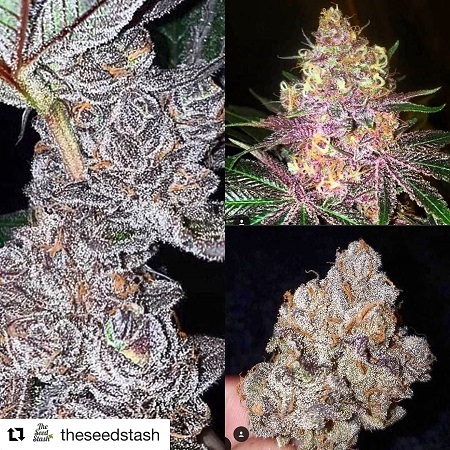 Raspberry Moonshine Regular Marijuana Seeds by Mosca Seeds: This cultivar has flavors of raspberries and blueberries. 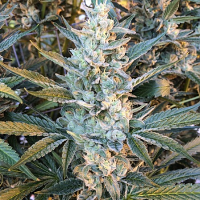 She produces dense and heavy colas that are easy to trim with a low leaf to caylx ratio. 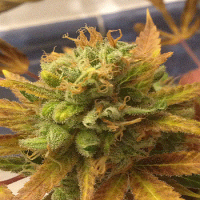 Everything Mosca Seeds Old Time Moonshine male touches has high THC content and you can expect a heavy couchlock buzz. Great to chill and watch you favorite tv shows.